EA got the E3 ball rolling this year with a series of trailers and announcements dedicated chiefly to its AAA franchises. You know - Star Wars, Mass Effect, Battlefield, and Titanfall. There was one quainter game announcement in the mix, however, it turned out to be among the show's most impressive. Below are the highlights of the company's showing at the biggest games event of the year. Vince Zampella discussed Titanfall 2 and transitioned to a multiplayer trailer of the game. Six new Titans and extensive customisation options were hyped. The game will be out on October 28 for Xbox One, PC, and, for the first time, PS4. Oh, and a single player campaign now exists. I sometimes forget we're living in an era where such a thing is a novelty in AAA releases. A brief Madden 17 trailer was shown. The improvements were about what you'd expect - balanced gameplay and a new commentary team. The hosts transitioned into a discussion about eSports. Many competitive modes will be featured in the game to appease competitive players, including the Madden 17 Champion Series, which will have $1 million as prize money. Few specific details were shared besides the game's central narrative of building a new home for humanity. It's about expansion into the unknown as the alien species. The game will be powered by the Frostbite engine, which is a running theme of many of EA's upcoming titles. The game's new story mode looks highly theatrical in nature and features settings far beyond the strictly sports-oriented. The game will chronicle the journey of Alex Hunter, a young soccer player looking to make his mark on the industry. You'll encounter legitimate characters and interact with them in Hunter's shoes. Real-world managers are also in the game for the first time ever. If all works out, it could be a quantum leap forward for the genre as few sports games have attempted such a scale in terms of plot. It's a welcome contrast to Madden and its competitive focus. The game is a very personal narrative about our relationship with nature. You play as a young cub and learn about your identity over the course of the game. Every animal and creature you encounter has its own unique song. The game will not tell players what to do, where to go, or how to think; it's a legitimate world to be experienced. There's a strong sense of artistry and it looks reminiscent of a 3D platformer. Game of the show? I think so. Look forward to a piece on it later today. A new Star Wars Battlefront game was announced. Content from the new films will be heavily featured. In 2018, an action adventure game by Visceral will be released. It's an original narrative that takes place in the Star Wars universe. The goal is to finally bring those Star Wars fantasies to life. The game's story is a "unique" take on the events of World War 1. In just what ways remain to be seen. In terms of combat, though, dynamic weather will force players to adapt their play styles on the fly. You'll manoeuvre vehicles across air, land, and sea whilst square off against up to 64 players at once. The show concluded with a suitably grandiose trailer full of destruction. What did you think of EA's showing this year? 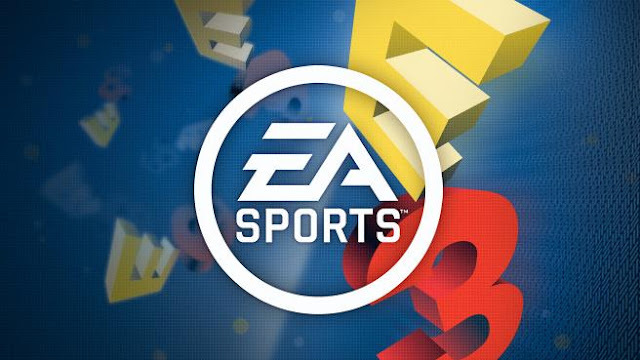 Item Reviewed: E3 2016: EA's conference 9 out of 10 based on 10 ratings. 9 user reviews.